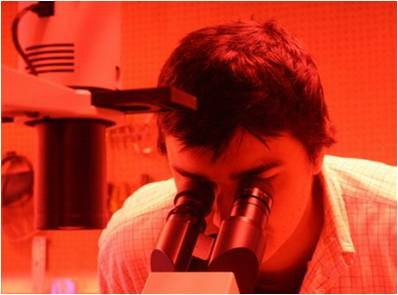 The purpose of the BioSpectroscopy Core Research Laboratory (BCRL) is to offer a centralized, shared resource for time-resolved fluorescence spectroscopy, single-molecule spectroscopy and fluorescence imaging that provides access to instruments, technologies, and services, as well as expert consultation. This facility is a component of the Center for Biomolecular Structure and Dynamics, and is supported through funding from the National Institutes of Health Centers of Biomedical Excellence (NIH CoBRE), the National Science Foundation Experimental Program to Stimulate Competitive Research (NSF EPSCoR), the University of Montana, as well as user fees. The BioSpectroscopy Core works with academic colleagues, staff scientists, graduate and undergraduate students at the University of Montana as well as national and international academic colleagues and their students. The BCRL works with investigators, on either a collaborative or contractual basis, to design and perform novel experiments, to test and develop specialized spectroscopic devices, to test and develop data analysis methods, and to brainstorm approaches to scientific problems.